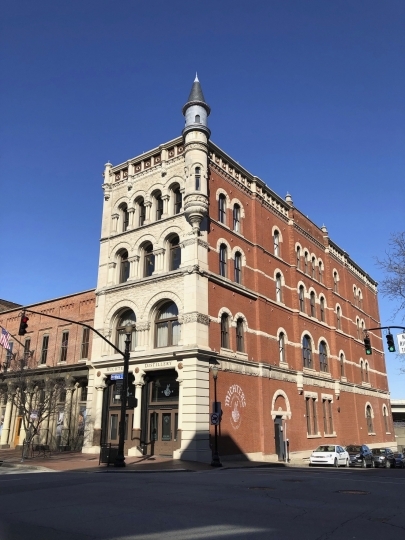 LOUISVILLE, Ky. — Whiskey makers are used to long waits, but restoring a 19th century building took a Kentucky distillery longer than most bourbons need to mature. 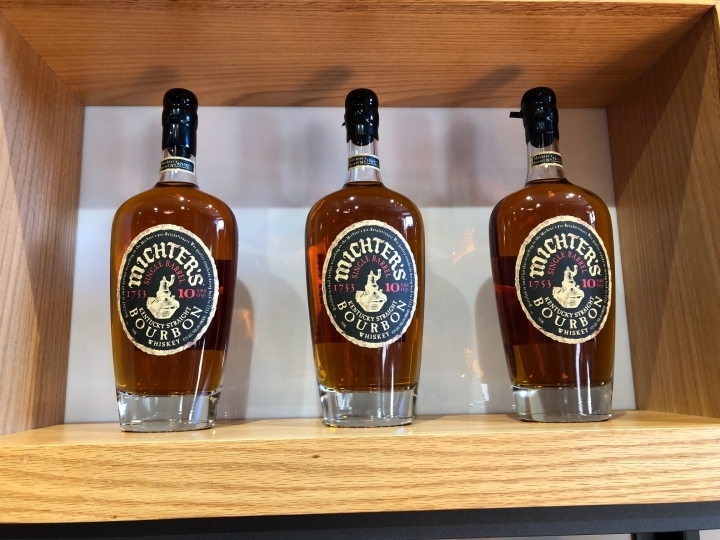 The wait ends Thursday at Michter's, when the small producer of premium and ultra-premium spirits opens its new Fort Nelson Distillery in downtown Louisville. 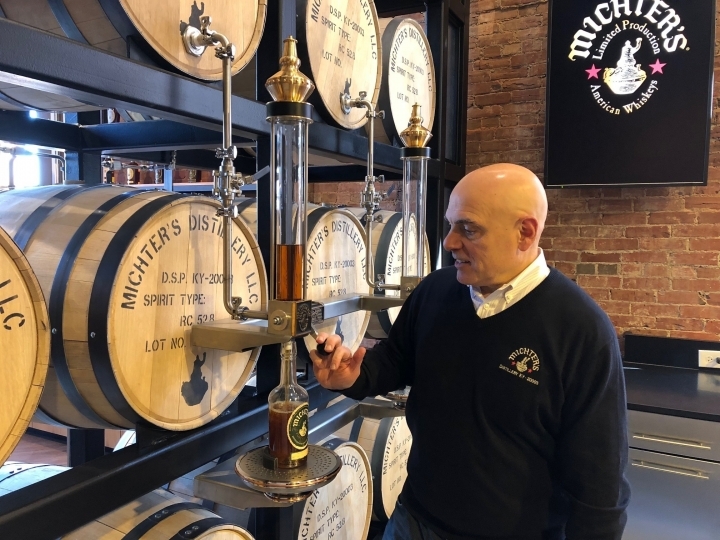 "I would guess that probably 90 percent of the American whiskey volume doesn't age as long as it took us to do this building," Michter's President Joseph J. Magliocco said during a pre-opening tour. Michter's bought the four-story, cast iron and stone building with its distinctive corner turret in 2012, leading the bourbon sector's comeback along Louisville's Whiskey Row. But as years passed, a handful of nearby distilleries opened while Michter's struggled with renovation setbacks. When restoration began, the building had been vacant for decades. A staircase had collapsed and there were no floors. One section of wall was bowed about 23 inches (58 centimeters) out of place, leading to a massive restabilization effort. Shoring up the building required 400,000 pounds (181,400 kilograms) of structural steel. Executives at the privately owned spirits company won't disclose renovation costs but acknowledge it was more than they meant to spend. But they say the stately result will justify the expense. "This isn't just a story about another distillery opening," Magliocco said. "It's a restoration story. It's an architecture story. It's saving a building. It's a once-abandoned brand going into this once-abandoned building. And now they're both pretty cool." Michter's new public face will showcase a brand best known for its 10-, 20- and 25-year-old whiskeys that sell for hundreds or thousands of dollars per bottle. Last year, a bottle of Michter's bourbon sold at a charity auction for more than $17,000. Michter's Celebration Sour Mash Whiskey, a blend of extra-aged bourbon and rye, is especially hard to find because of its limited releases — the last was in late 2016. Bottles sell for thousands of dollars apiece and Kentucky Distillers' Association President Eric Gregory said he's had just one taste. The flagship Michter's brand ages for about six years and retails at about $50 per bottle. Public tours are scheduled to begin Saturday at the new distillery. Bourbon distilled in the restored building will take six years or more to be ready, but whiskey drinkers can sample other Michter's products on the tour. Visitors can sip cocktails at a bar on the second floor. The distillery has a prime spot across the street from one of Louisville's most popular destinations — the museum and factory where Louisville Slugger bats are made. It's on the same block as the Frazier History Museum, which is home to the Kentucky Bourbon Trail Welcome Center. The Fort Nelson Distillery will join the trail once it opens to the public. Kentucky produces about 95 percent of the world's bourbon, and whiskey tourism has become big business. Tourists make more than a million stops each year at distilleries along the Kentucky Bourbon Trail — which includes Jim Beam, Wild Turkey, Woodford Reserve and other venerable distilleries — and the Kentucky Bourbon Trail Craft Tour, which showcases smaller, up-and-coming distilleries. The Michter's distillery will become "an instant anchor" for one end of Whiskey Row, Gregory said. "It seems like they had everything thrown at them, but they persevered," he said. The Fort Nelson Distillery can produce up to 20,000 proof gallons (75,700 proof liters) of spirits a year — enough to fill several thousand 12-bottle cases. But the bulk of Michter's production will remain at its nearby Shively distillery, which isn't open for public tours. The new distillery adds to Louisville's lineup of bourbon attractions. For years, bourbon fans wanting to see where their favorite whiskeys were crafted had to venture into rural Kentucky — where the most famed distilleries are located. But several distilleries and bourbon attractions have sprung up in recent years, including the Jim Beam Urban Stillhouse, the Evan Williams Bourbon Experience, Angel's Envy, Kentucky Peerless, Old Forester and Rabbit Hole.